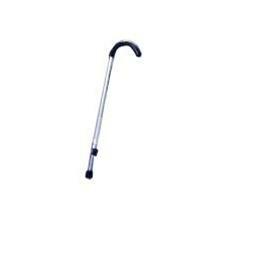 Lightweight, durable, anodized aluminum cane improves balance and reduces fatigue. Exclusive triangular-shaped, soft, spongy foam Invacare Grip® reduces hand fatigue and resists compression. Rubber tip grabs surface and absorbs shock. Lifetime limited warranty.